Fall is my favorite time of year…my favorite colors, my favorite weather, my favorite activities, and my favorite foods. 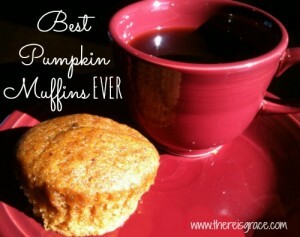 Topping the list of favorite fall foods is pumpkin anything…bread, muffins, pie, lattes, cookies…you get the idea. You’d better go ahead and preheat the oven, because once you’re through here I guarantee you’ll be inspired to whip up something pumpkin-licious! Who doesn’t love a good, all-purpose, pumpkin bread/muffin recipe? This is my favorite and a must-have in our home every Fall. If you’re looking for something a little sweeter, these Iced Pumpkin Chocolate Chip cookies will hit the spot. Bonus: They’re not just for Fall…they’re great ANYTIME! Or try this Chocolate Pumpkin Bread…YUM! 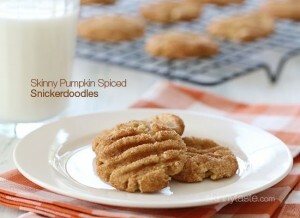 Speaking of sweet tooth, have you tried Pumpkin Snickerdoodles? 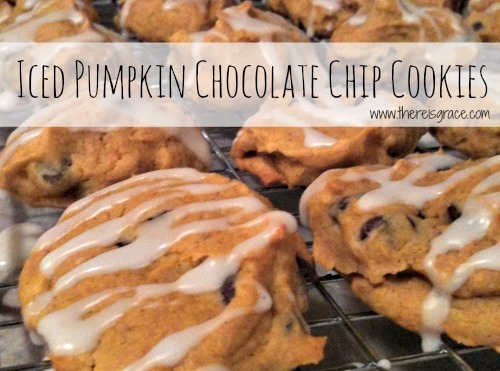 What could be better than making a great cookie even better by adding pumpkin? 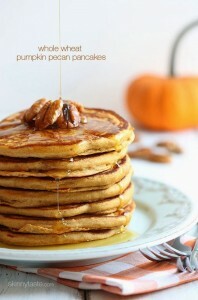 What better way to start the day than with Pumpkin Whole Wheat Pecan Pancakes..YUM! 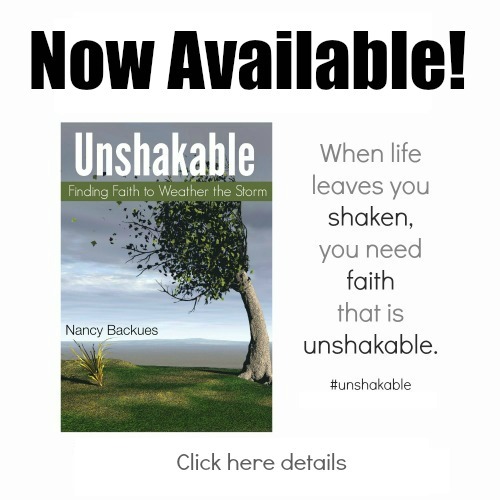 Trying to “be good” this holiday season? Try this healthy version at RDelicious Kitchen…only 5 ingredients! Or why not have cookies for breakfast…Pumpkin Spice Quinoa cookies, that is! Looking to serve something new this year at Thanksgiving dinner? How about Homemade Pumpkin Crescent Rolls? Or perhaps you’re sticking with the tried and true, like homemade Pumpkin Roll. Of course, no Fall is complete with out Pumpkin Spice Lattes! Did you know you can make it at home…in your crockpot!! How awesome is that? And if you don’t want all the added sugar and such in the coffee shop version, check out this recipe for an all-natural version that is amazing! Or save yourself some expense (and additives) this holiday season by roasting your own pumpkin or make your own Pumpkin Pie Spice…super easy! So there you have it, every pumpkin recipe you could ever want…but just in case you didn’t find what you were looking for, here’s another Pumpkin Recipe Round-up that just might help. Thank you, Lora! So sorry I missed it…I am WAAAY behind on my reading!! No problem! 😉 I totally know that “behind” feeling right now, too! Lora, I updated the post to include your Pumpkin Roll Recipe. Thanks for sharing…I can’t wait to try it! The pumpkin latte made my mouth water! Thanks for sharing these! Joanne Viola recently posted…He. Brought. Us. Wow! What a delicious looking page I’ve stumbled upon! YUM! 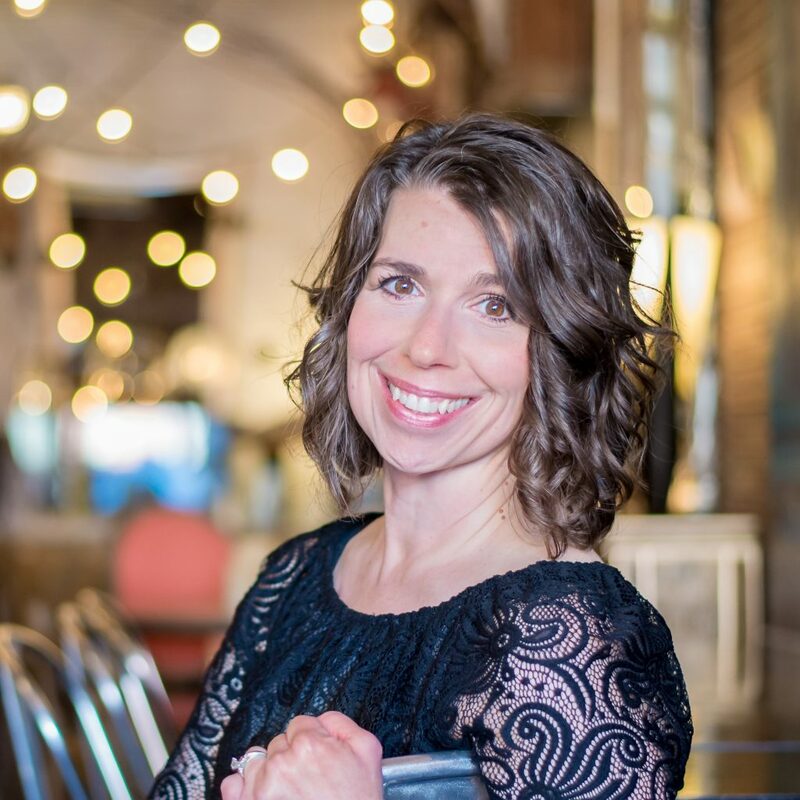 I’m here from the Missional Women link up and so glad I’ve found all of these scrumptious recipes! Pumpkin is my favorite fall flavor. 🙂 Thanks so much for sharing! God bless!! Thanks for stopping by, Ali! 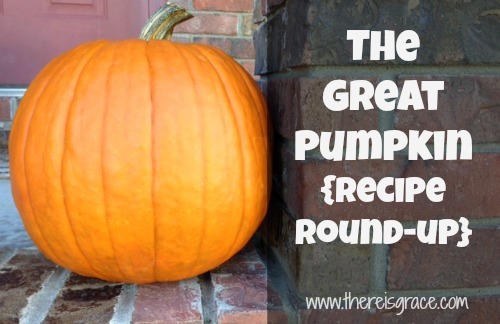 Pumpkin is my favorite, too, which is why I love collecting and sharing pumpkin recipes! Hope you enjoy them! Looking at this page has made me want to go bake something. Pity I don’t have the ingredients if not I would go whip up some pumpkin muffins and cookies- all gluten fee though. Tanya, hope you are able to whip up some scrumptious gluten-free goodness soon! Yum! I’m pinning this page and trying the pumpkin chocolate chip cookies today! Thanks! 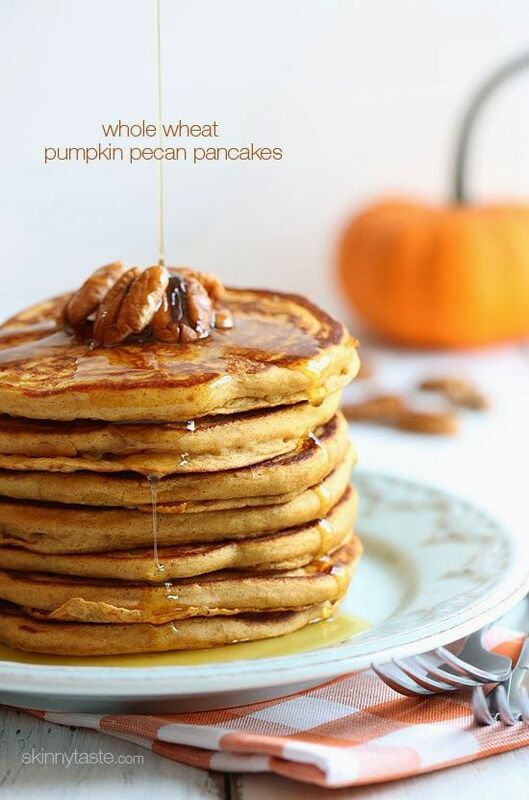 I have a can of pumpkin sitting in my pantry waiting to be used on one of these recipes! 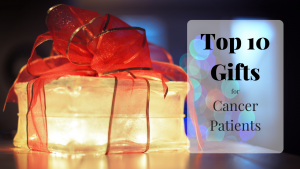 I’d love to have you come share on the weekend re-Treat link party that ends tonight – http://www.playpartypin.com/2013/11/weekend-re-treat-link-party-43.html. Thanks for stopping by Britni, and thanks for letting me know about the re-Treat party…I just linked up! Hope you enjoy those pumpkin recipes!! !